It wasn’t the most spectacular week for Chad Schroeder’s Cocktails and Dreams in the 2017 FFPC Main Event, but it was good enough for him to keep a 30-plus point lead over Dave Asrani’s Redshirted squad. 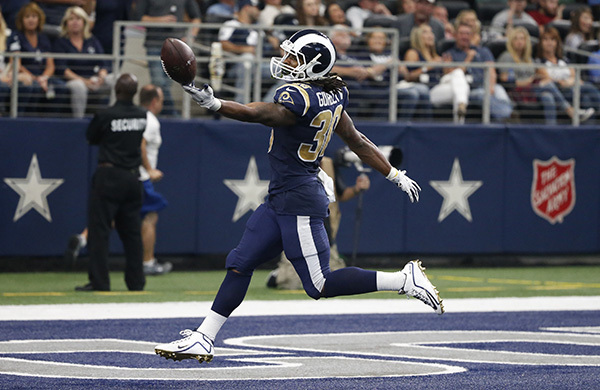 Schroeder once again was led by Todd Gurley’s 34.5 en route to a 137.65 Week 4 score. Asrani moved up 11 spots to second, gaining a 1.8-point lead over Joe Stutesman’s Who Wants IV?, which remained in third for the second straight week. Don Metter’s winner winner chicken dinner also moved up from ninth into fourth with Jack Haan’s Wyld Stallyns slipping from second to fifth. Despite taking his first loss of the season, Dallas Grimes kept his KC Deacons in first place in the 2017 Footballguys Players Championship. Led in scoring by Todd Gurley, the Deacons saw their lead shrink to 13.4 over Dwain McFarland’s S2YB 10. Our guest on last week’s High Stakes Fantasy Football Hour, Grimes was still able to tally a 133.55 score this past weekend. McFarland is up on third place Larry Erlichman’s AP15 by 11.4 points, and Justin Hull and Mark Garcia’s Ptery squad moved up from ninth to fourth. 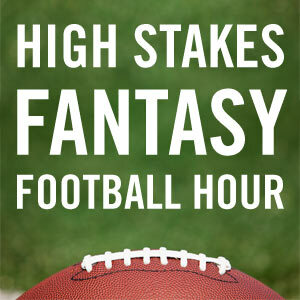 You can listen to Hull and Garcia break down their team this Friday on the HSFF Hour. Rounding out the top five is Michael Cobb’s Boss Savage! !, which fell from second to fifth this week. A reminder that all FFPC Main Event, Footballguys Players Championship, Classic, Victory Point, Dynasty and other managed leagues have waivers TONIGHT, Wednesday, Ocotober 4th at 10 p.m. ET. A second weekly waiver period processes on Friday night at 10 p.m. ET. IMPORTANT: You can only get one player per bid group. Once you get a player in that group, all other bids are voided. If you want to get multiple players, you will need multiple bid groups and multiple players to drop. If you have multiple teams, please handle bidding with a single team in a single browser for now. Every team has $1,000 bidding dollars to spend. This needs to last for the entire season. There are no $0 bids, so please bid $1 or more. From the league home page, click on TEAM. You will see the Bid Groups section on your Set Lineup page. You can click on the ‘Create Bid Group’ button on the Set Lineup page to create a new group. From there you simply need to 1) add the player(s) to the group, 2) specify the bid amount for each player, 3) select the players to drop and 4) click Save. Bid groups can be copied and then edited as a new group. Bid amounts can be edited quickly and easily. Players are default sorted by 2017 stats and can be sorted by position. Don’t forget to include a player to drop in every bidding group. If you are looking for a certain free agent, you can use the player search feature on the MyTeams page and it will tell you if he is rostered or not and who owns him. This is helpful for owners that have multiple teams and are looking for a priority free agent. Waivers Open on Sundays at 9 a.m.
Players will now be able to place waiver bids for the following week starting Sunday morning at 9 am ET. In addition to leading the Main Event, Schroeder also finds himself in first place in the Big Payback #2 league as well. With 14 victory points on the season, Schroeder’s 585.7 points were helped by Gurley and Russell Wilson’s (32.55) performances this past week. Wilson was also on the first place BB squad in Big Payback #3. Blake Bohn’s and Aalok Arora’s team also rode Le’Veon Bell’s 34.6 to their 14th victory point and 556.4 season-long points total. Staying ahead of everyone else in the Big Payback #1 was Bruce Kinder’s COBALTO, which has tallied 12 victory and 545.3 points on the year. In Week 4, Kinder’s team was led by Aaron Rodgers’ 24.85 points. Each champion in these three 12-team leagues will pocket $25,000 at the end of the year. This coming Thursday morning, remember to check out Rotoviz Radio‘s The High-Stakes Lowdown podcast with David Hubbard talking about the Packers’ running backs as well as 2013 FFPC Main Event champs Joe and Jason Reither discussing their squad this year, Will Fuller, Leonard Fournette and much more. 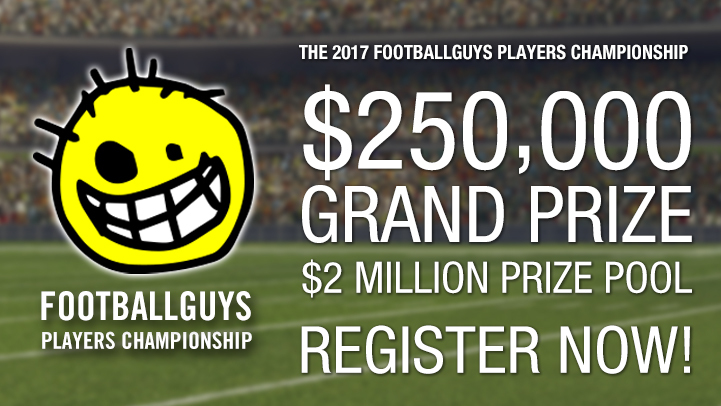 Sitting in fourth place after four weeks of action in the 2017 Footballguys Players Championship, are Justin Hull and Mark Garcia. They drop in the HSFF Hour this week to break down how they built their squad, why DeAndre Hopkins made for a great second round pick, Todd Gurley’s dynasty value and a bunch more! More news this week from us on managing your lineups better. You can now edit future lineups from one page in your FFPC leagues! Set those lineups in advance and make sure you are ready to go in case you can’t get to them in time before kickoff of weeks in the future. Check it out and let us know what you think. Also, for any of you who are wondering about J.D. McKissic’s position this week, he will remain a wide receiver for the remainder of the season in accordance with FFPC rules. 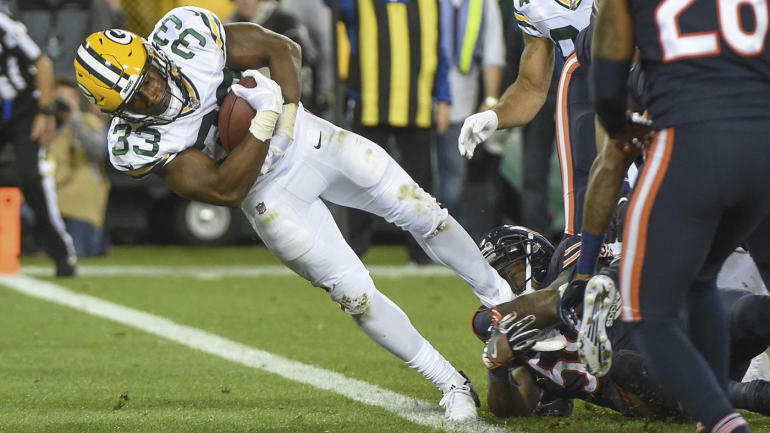 This was the same application that Ty Montgomery received last year as well. 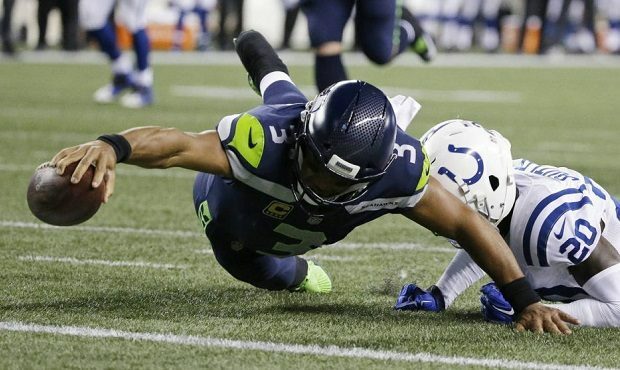 The FFPC does not change or add positional eligibility in the middle of the year so that a level playing field is in place for the entire drafting and fantasy seasons for all players.